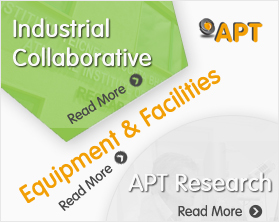 After over thirty years service to the Athlone Institute of Technology and the Irish Plastics Industry, Jim Hopkins will retire from the Polymer Department at AIT this month (December 2015). Jim trained as a student in Athlone IT (or Athlone Regional Technical College as it was called back then) in plastics before holding a range of roles in the burgeoning Irish Plastics Industry. 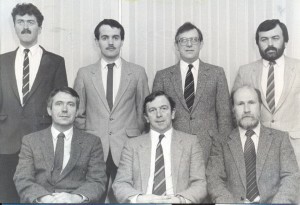 He returned to lecture in Athlone in 1978 when he was appointed Assistant Lecturer in Plastic Engineering. 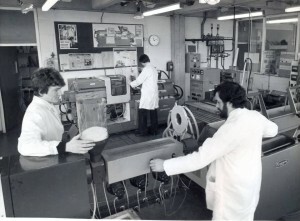 Over the years, Jim progressed further in the plastics department being promoted to full lecturer in 1980, appointed a Lecturer I post in 1982 and continuing to a Lecturer II post in 1994. In 1986, Jim was also conferred with a MSc from Trinity College Dublin. Throughout his years at AIT, Jim has played a crucial role in the development of the courses in the Polymer Department, always ensuring that the content being developed was suitable for the Irish industry and was internationally best in class. Jim has played a key role in ensuring students were well equipped for life after college, his close links to the industry always ensuring placements in high tech plastic processors were available while frequently playing a role in securing employment for graduates as they prepared to leave the college. In his over 36 years as a lecturer at AIT, Jim has seen literally thousands of students pass into the plastics industry, and it is a testament to his knowledge and commitment as well as to his skill as a lecturer that many of those past students are now in senior leadership roles, many opening their own thriving businesses. His knowledge, leadership and wit will be sorely missed by all the plastics department at AIT and we wish him all the best in his retirement. 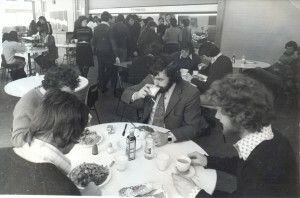 Jim Enjoying a well deserved respite from students in the early 80’s! 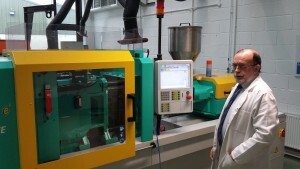 Jim Hopkins keeping a watchful eye on one of the Injection moulding machines in AITs teaching & research labs.